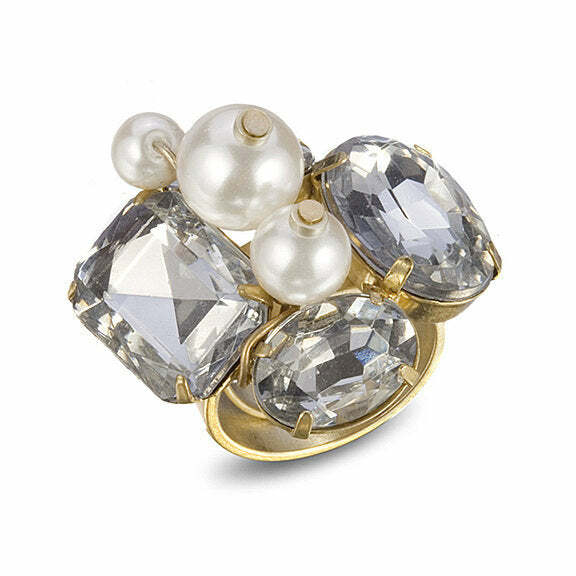 "Cluster Stone Ring, Gold" "Lee Angel mingles stones, pearls, rhinestones, and fabrics with gold and silver accents to create designs that pop with color and exude a vintage flair while still being completely of-the moment. Delicate without being too precious, these baubles are perfect for a night out on the town. Available in Size 6 "